Constructed of overlaminated .020" rigid vinyl. Includes full color printing. Products are packaged in bulk. Variable Data available for an additional charge. 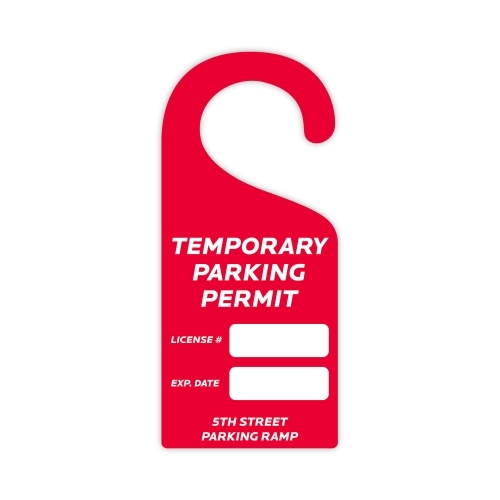 Each parking permit includes: full color imprint and no numbering.